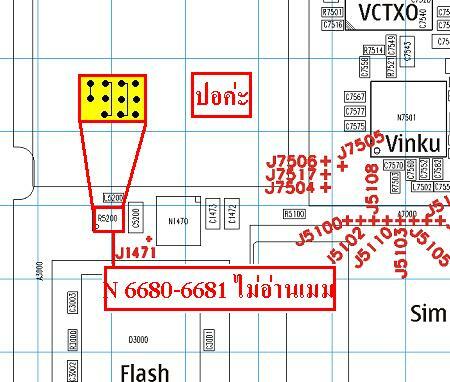 MMC not detected problem on Nokia 6680 can caused by several reasons, most of them relating to hardware. 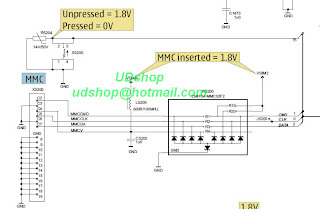 MMC problem can caused by damaged MMC connector, bad solder, damaged MMC driver, broken line, etc. 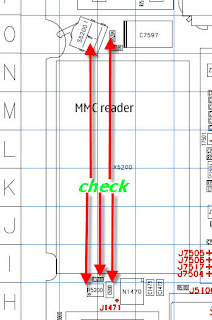 The first step to repair this problem, look at the MMC connector whether the solder quality is good or not. If the solder quality looks bad, re-solder them. 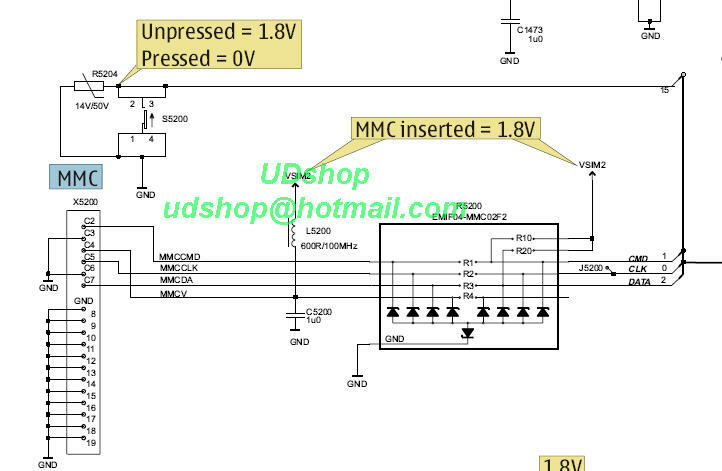 If the MMC connector looks good, you can continue to next step, check the Nokia 6680 MMC driver. 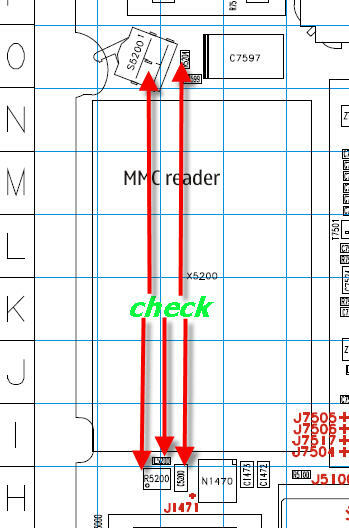 Here, we provide some pictures relating to Nokia 6680 MMC not detected problem. Check the pictures one by one, maybe one of them can help you solve your Nokia 6680 problem.